By working with this frame, the child will develop co-ordination of movement, ability to focus and concentrate on a task, and learning the skills of being independent. 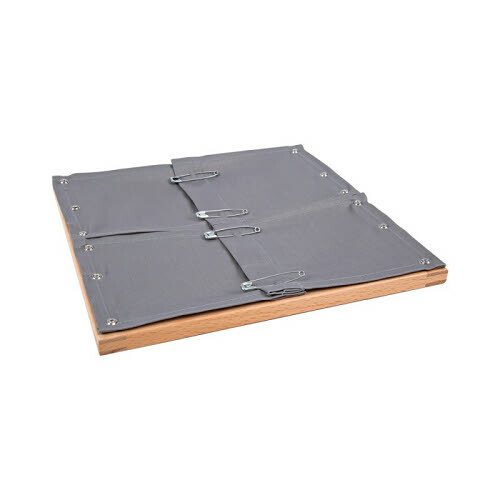 This sturdy timber frame is made from Beech wood with the material screwed on to the frame and has large real safety pins that are easy for little fingers to work with. This material is suitable and can also be used in programs for persons with disabilities, special needs, dementia and those recovering from brain injury. Please note: Depending on availability, material, colour and pattern may change from time to time and may not be the same as the picture shown.